Germany 1937: Fear and betrayal stalk the streets. People disappear. Persecution of the Jews has become a national pastime. 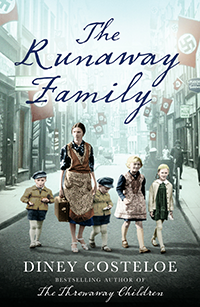 When Ruth Friedman's husband is arrested by the SS, she is left to fend for herself and her four children. She alone stands as their shield against the Nazis. But where can she go? Where will her family be safe? Ruth must overcome the indifference, hatred and cruelty that surrounds her as she and her family race to escape the advancing Nazi army's final solution.